Facebook and Twitter are the social media platforms that most chiropractors used in order to generate patients that lead to revenue. Nitin Chhoda, a chiropractic marketing expert says that they only need one social media platform to meet and accomplish their business goals. And that is, LinkedIn. Twitter and Facebook are more popular amongst consumers, but LinkedIn is the best social media marketing tool, according to a brand new article on the Chiropractic Newsletter blog. Each individual has their own strengths, skills and areas of expertise that can be shared and utilized to retain and attract patients, generate leads and increase revenues. Nitin Chhoda, a chiropractic marketing expert says that LinkedIn is the social media platform that has the power to connect with other professionals and build unique relationships. 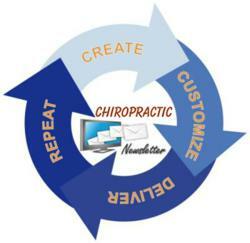 He noted that every chiropractic business should have a LinkedIn account, according to a brand new article on the chiropractic newsletter blog, also on the web at http://www.chiropracticnewsletter.com. Otherwise they could be missing out a big opportunity to connect with professionals in other industries particularly in their local community. He added that people use Facebook and Twitter to stay in contact with friends and family aside from being entertained and playing games. LinkedIn, by comparison, is a platform actually focusing on professional pursuits and relationships. The individuals using LinkedIn have the power to generate referrals, build a reputation as an expert and influence others. Chiropractors who use LinkedIn encompass a wide range of industries and professions and could very well be other doctors with which they have worked. They can easily locate others within their local sphere of influence, from attorneys, plumbers and electricians to teachers, their child’s coach and even a college roommate. Chhoda said chiropractors may not even realize they know someone within the network that could benefit their practice, which LinkedIn is all about. As chiropractors make more connections, the size of their network can grow by thousands of people in a single day. Each individual has their own strengths, skills and areas of expertise that can be shared and utilized to retain and attract patients, generate leads and increase revenues. Chhoda noted that LinkedIn also opens the door for mutually beneficial collaborations. It’s often been said, “It’s not what you know, it’s who you know.” In many ways, the adage is true and with LinkedIn, chiropractors can utilize those relationships, sometimes in unexpected ways. Chiropractors utilizing LinkedIn can use their connections to hire top staff, discover innovative ways to market a practice, and learn new skills. As the founder of the annual Private Practice Summit, a premier marketing expert, and also a maker of chiropractic newsletter, Chhoda is cognizant of the best methods for marketing small practices, generating increased revenues and locating the best tools to grow his clients’ practices. He noted that it’s imperative for chiropractors to utilize social media resources, but platforms such as Facebook and Twitter do nothing to advance professional goals and aspirations. For professional connections, Chhoda said LinkedIn is the only social media source chiropractors will ever need.